Adding a 3D Virtual Tour to your next listing showcases your property and all the unique features that make each listing special. Curb Exposures offers 3D Virtual tours from Immoviewer, iGuide or Matterport to meet your specific requirements. Call to see which service we offer in your area. We deliver your listing in our Property Detail page that showcases your HDR images, 3D Virtual Tour and property details and description. Branded, Unbranded and unique URL provided for MLS and Social Media marketing. 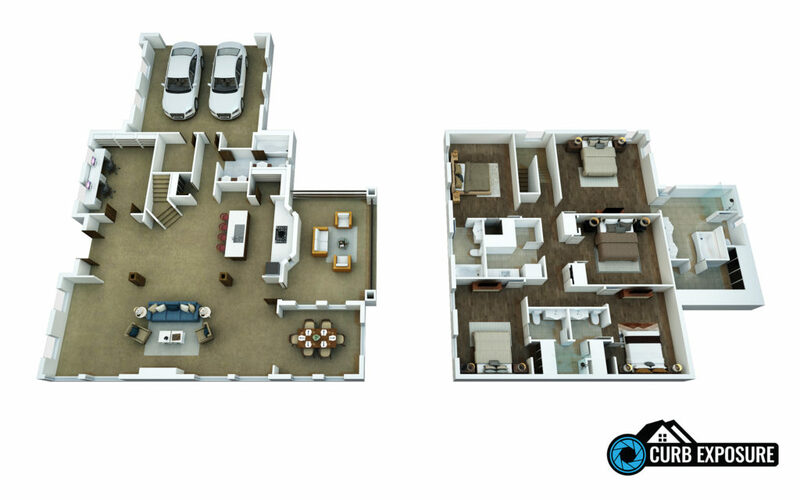 We can convert your 2D Floor Plan from Immoviewer, iGuide or Matterport to a 3D Floor Plan for only $125.